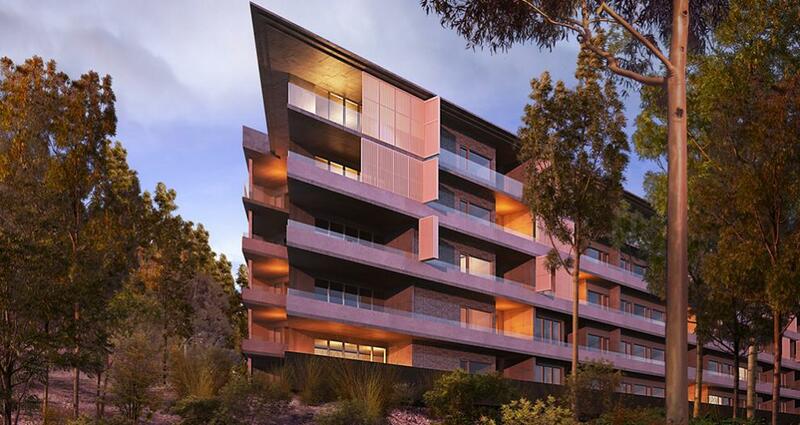 Dunstan Grove is one of four DHA residential developments in Lindfield and is located adjacent to the UTS Ku-ring-gai Campus and the indigenous bushland of the Lane Cove National Park. The UTS Campus buildings adjacent to the site were conceived as an Italian hilltop village within a native bushland setting. The buildings are testament to the visionary work of Architect, David Don Turner and Landscape Architect, Bruce Mackenzie and how they purposely limited the building footprints to ensure that untouched bushland was clearly separated from the developed areas. This design approach brings out the intrinsic qualities of the site: the landform; indigenous plants; and rock outcrops. Our design builds upon this precedent with the compact buildings being located in close bushland proximity, maximising the views and connection, whilst maintaining a clear separation. The two curving building forms respond to the bushland with clear horizontal lines within the façade contrasting to the slender verticals of the surrounding trees. Deep reveals allow shading in the summer and the elevations are animated with operable louvers that provide shading from the low westerly sun. 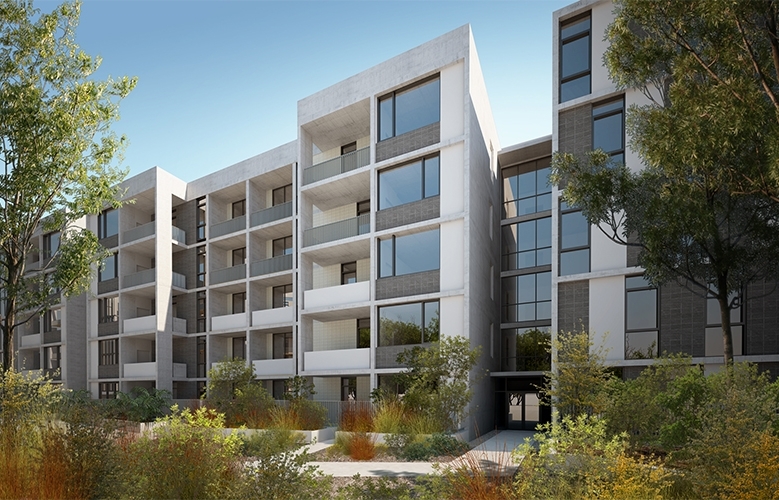 The buildings create a central courtyard space which is the focus of the amenity for the development including a communal barbeque area and ribbon of lawn defined within areas of indigenous planting. The courtyard space is orientated to capture sunlight and the design maximises solar access and natural cross-ventilation of the apartments. The design incorporates a number of passive and active measures to reduce use of natural resources.